With twenty five years experience in the sign business, we know what’s important to you – Value! Sure, we can fabricate a great looking sign, but if it’s incorrectly installed or comes apart, where’s the value? Design, Installation and Maintenance are the keys to a great sign. This is why we promote “Worry Free” installation and service. 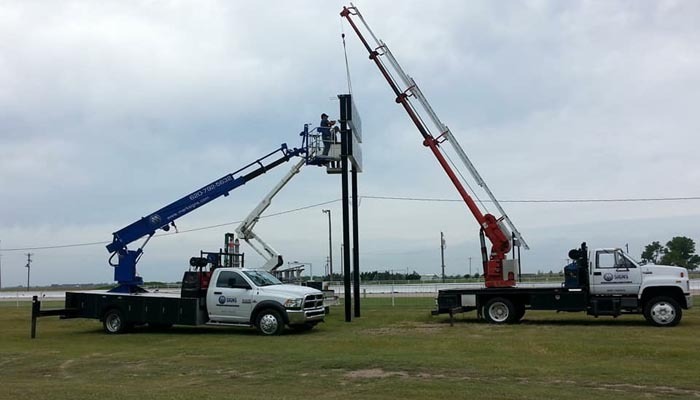 We offer bucket truck service up to 65 feet and crane service up to 65 feet to handle almost any job.